Popularity of website building keeps growing with every passing day. It’s no wonder, taking into account the increasing demand for quality and visually attractive websites that can help their owners reach personal and business goals. A website has already become the major marketing tool. The more professional it is – the higher the owner’s chances to reach success are. It’s possible to launch a website in different ways today. Some options are more suitable for newbies, who don’t have any web building skills at all, while other methods are the best solution for experienced web developers. However, there is one option, which is a universal tool for everyone. We talk about websites builders – the systems, which make it possible to create any website from scratch without the need to write complicated codes and waste time developing the design. Website builders are created for all users, irrespective of their experience and coding skills. They guarantee quality result, granted that you approach the web building process seriously. Let’s review five best services used to create stunning websites now. Purpose. 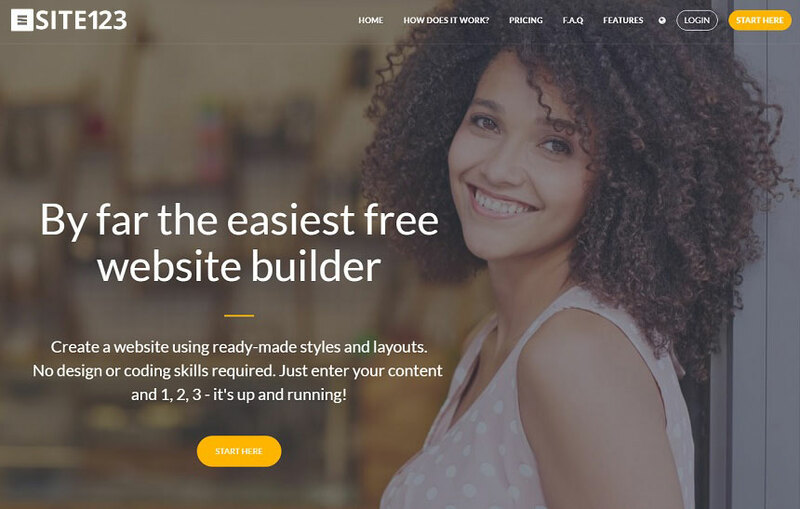 If you are looking for a simple website builder to create different types of websites, then SITE123 is your number one choice. This is a universal system, which is very convenient and easy-to-use. Whether you plan to launch a promo website, a landing page,a portfolio or even an online store, you won’t face problems, when working with SITE123. Features. Despite its simplicity and convenience, SITE123 comes with a wide range of features that contribute to the quality result. These include a rich collection of responsive templates (which are mobile-optimized by default and, thus, can be viewed on any mobile device), effective and quality web customization tools, social media integration options, free image and icon gallery, nice selection of layouts etc. An advanced multilingual tool the system offers deserves separate attention. It allows creating websites with multiple languages, which notably improves their efficacy and promotion success. Cost. SITE123 offers 5 plans, which differ in their terms and cost. Newbies can test the system by using a free plan, but they will still have to upgrade to one of the paid plans, having decided to keep working with the system further. Paid plans include Basic, Advanced, Professional and Gold plans. They differ in the disk storage volume, bandwidth and some other features. What’s interesting, the pricing policy of the system depends upon the location a user lives in. Whatever plan you will go for, you will be able to create an unlimited number of websites with it, although, each website should still be paid separately. Summary. 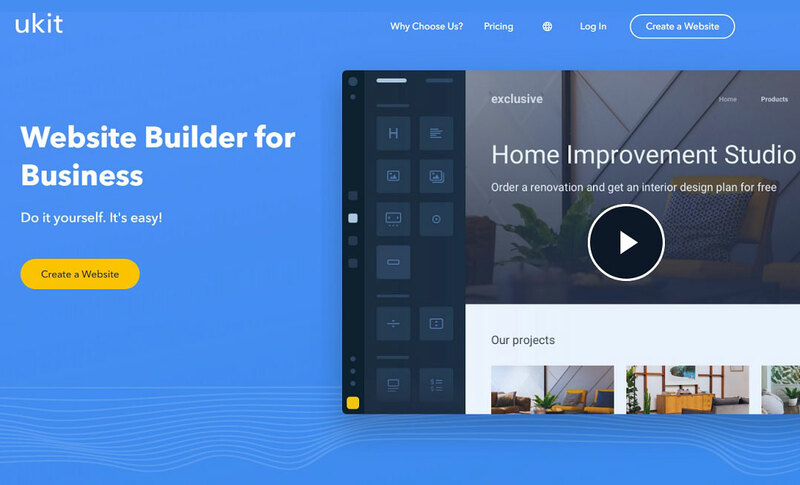 SITE123 is a universal cloud website builder, which is definitely worth the attention of newbies and professional website developers. The system has everything a user needs to launch a quality website that will come up to any needs. It’s possible to create any website type here, while the set of tools and features the system offers allows achieving the best result with no hassle and time loss. Purpose. IM Creator (XPRS) is a drag-and-drop website builder, which has a special offer for creatives and entrepreneurs. The service is a nice choice for users, who have the idea of creating portfolios, business and promo websites, landing pages. It is intuitive and simple. Even though, it does not imply the use of any coding skills, the website builder is quite powerful and can be used by web developers to launch stunning websites. Features. IM Creator (XPRS) comes with advanced functionality. Each user, irrespective of the web building experience, will find those features here, which will come up to the web building needs. These include versatile layout change options, advanced image settings, galleries and slideshows, icon and font libraries, SEO features, blogging and eCommerce functionality and what not. The system has a rich set of responsive themes that are customized in a simple and quick way. Users just need to upload the content and select the required widgets and special sections (slideshows, animations, photo galleries etc.) to be added to their websites. All the changes are made in the WYSIWYG mode and can be viewed and modified in the visual editor. Cost. IM Creator (XPRS) has a special free plan for creatives, which allows presenting their works in high quality portfolios. The plan offers lots of features, including mobile-optimized templates subdivided into thematic sections, unlimited hosting and absence of advertisements. There is also an opportunity to connect an individual domain name here. A free plan won’t work for professional web designers at all. By upgrading to the Premium plan, they will avail lots of extra features that will maximize their website success. What’s more, IM Creator (XPRS) is also ready to offer a White Label solution, which allows connecting your own brand and lets your clients create their websites under it. Summary. IM Creator (XPRS) is a cloud website builder, which comes with drag-and-drop functionality. As a result, creating websites with the service is super easy. By dragging the elements and adjusting them at the page, users can create any website structure and layout they need. 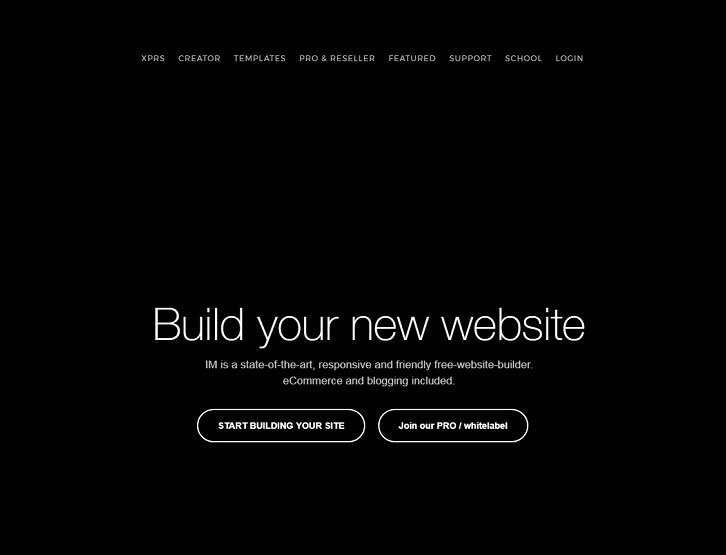 The website builder works best for creatives and business owners. With a rich collection of responsive templates, variety of web customization tools, WYSIWYG visual editor, reasonable pricing policy and reliable tech support, the service deserves to be recognized one of the most professional website builders available nowadays. Purpose. uKit is a business website builder, which has a decent set of features and tools all in one place. The system is focused on the needs of business owners, who aim at establishing reliable and lucrative web presence. These people are not professional web designers, but they can create quality business websites with ease due to the simplicity and convenience of the system. The website builder can also be used by professional web developers engaged into the creation of client websites. Features. uKit has almost all the features users need to launch decent websites. It has lots of responsive templates subdivided into several dozens of thematic categories, effective web customization tools, advanced SEO features needed for further web promotion, integrated store widget etc. These and other features make it possible for professional web developers to launch business websites by using their skills and experience to the advantage. Newbies, however, can master the service pretty quick to start working on their own projects. Cost. uKit has 4 paid plans, but each plan comes with a free 14-day trial period. As a result, users don’t have to choose the very first plan that seems the most appropriate to them. Instead, they can test each plan individually prior to deciding on the best option. All the plans come at reasonable cost, especially for business owners. The Premium Plan, for example, costs only $4, offering a broad range of advanced options. This is much cheaper as compared to other website builders offering similar functionality. Summary. uKit is a popular and trusted website builder, which is oriented on the needs of business owners. Thus, all the features of the service are focused on this goal. The system is simple, affordable and convenient. No coding skills are required to create functional and appealing business websites here. If you possess web design experience, however, you can effectively use your knowledge to reach outstanding result your clients will be satisfied with. Purpose. Mobirise appeals to lots of users engaged into web design due to its convenience, ease-of-use and safety. The latter is guaranteed by the major difference of the system from other platforms. The thing is that Mobirise is downloadable software. To start creating websites with it, you have to install it first. This, however, doesn’t take much time, but unveils lots of extra benefits most users appreciate. Features. 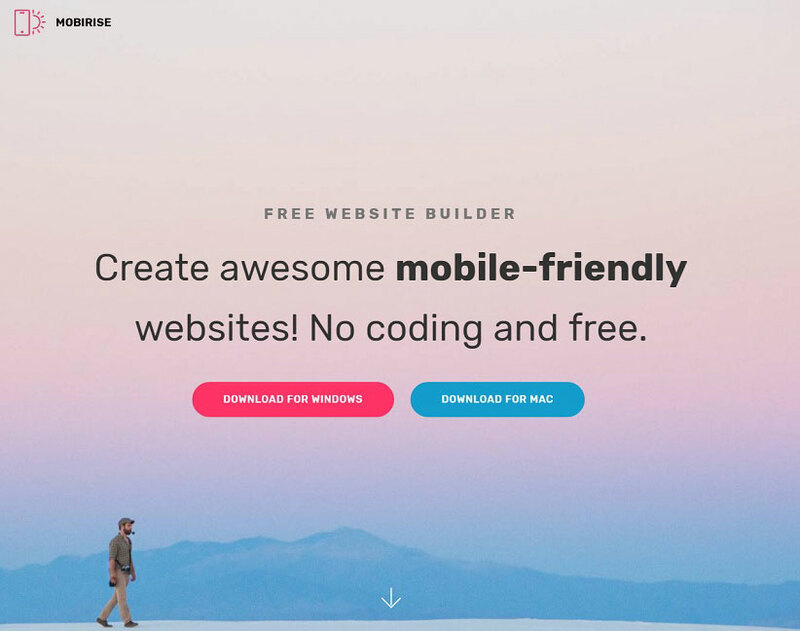 Mobirise is used to create different types of websites. To complete the task, you’ll need to arrange the required blocks at the webpage, thus creating its structure. There are no standard templates here – the blocks have successfully replaced them. The most widely used blocks include blogs, articles, charts, price lists, galleries, reviews etc. They are used at the majority of quality websites today. Cost. Another feature that distinguishes Mobirise from other website builders is absence of paid plans. There are no plans at all here – the system is completely free. This allows users to experiment with different types of websites with ease. As soon as you are ready with your project, you will have to buy hosting and domain name to make it available online. Experienced web developers can also invest in purchasing extra extensions, which can add to the design and functionality of the ready made project. Summary. If you are concerned with a safety aspect, but still need a quality website builder, then don’t pass by Mobirise. The fact that the system is downloadable contributes to its security and doesn’t require online connection in the process of website development. Mobirise comes with numerous content blocks, proper combination and arrangement of which allows creating any website layout required. This is a decisive argument for many users, who have chosen Mobirise as their favorite website builder. Purpose. Ucraft is a cloud website builder, which comes with a popular drag-and-drop functionality. It works well not only for newbies, but for professional web designers as well. You can use the system to launch any website type. The most popular websites created with the service, however, include promo websites, landing pages, business websites, online stores, portfolios etc. Features. Ucraft is super easy yet powerful. It has an intuitive dashboard, abundance of responsive thematic templates and blocks that can be integrated into any website design to create that very structure and layout you need for your project. One of the major features Ucraft is known for is the multilingual tool the system offers to users working at the development of different language versions of their websites. This eventually triggers more advanced functionality and efficacy of websites created with the platform. Cost. Currently, Ucraft has three plans, one of which is free. It can be used to test the system in details prior to deciding whether it comes up to your web building needs or not. Non-techies will also appreciate the availability of the free plan, which will make it possible for them to master the system and improve their web design skills. Having tested the system for free, you’ll need to choose one of the paid plans. The first of them is meant for beginners and costs $8 per month. The annual subscription to this plan allows saving up to 20% and connecting individual domain name. The Lifetime plan comes with the same features available in the plan for beginners. The only difference is that it offers lifetime subscription for $149. This is a worthy offer for the devoted Ucraft users, who plan to use the system in future to create their projects with it. Summary. 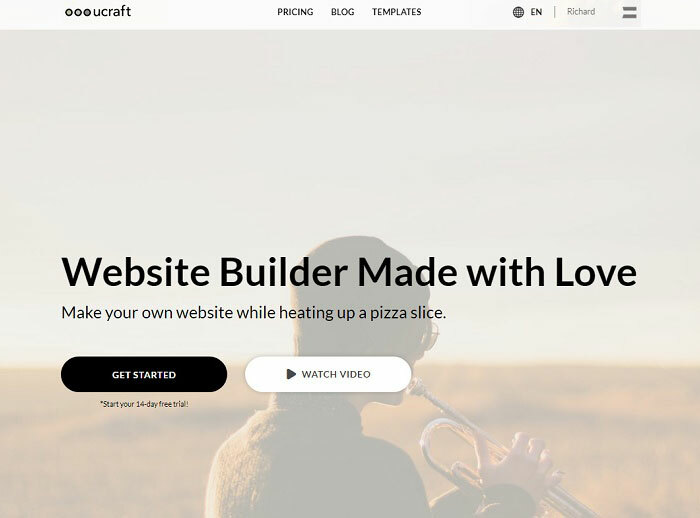 Ucraft is a convenient and simple drag-and-drop website builder. 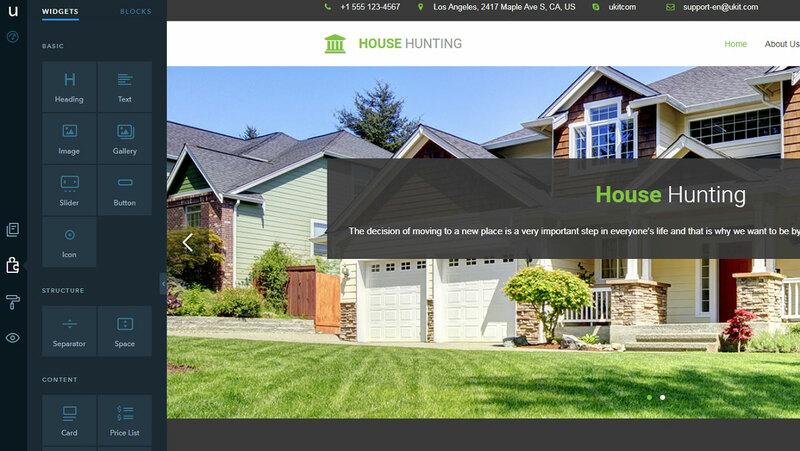 It has many responsive templates and widgets to choose from. There is also access to the multilingual tool, intuitive dashboard, web customization tools, SEO options etc. These and other features are effectively combined in the process of website creation, which ensures great result. Ucraft has a free plan for testing the system and two paid plans users may select based on their needs. The terms and cost of the plans are quite reasonable and suitable for newbies and web designers. There are different ways to make the process of website development simple, hassle-free, convenient and affordable not only for beginners, but also for professional web designers. One of the most effective and smart options, however, is to use website builders. These systems have all the features, tools and functions required to build quality, full-fledged websites that are also visually appealing. They are understandable and don’t imply any coding skills or web design expertise. This is what makes them in demand with web designers across the globe these days. Should you really pay for courses if you want to be a web designer? How To Choose A Website Builder If You Are A Small Business Owner? Hi Zee Que! Why not Wix and Simbla? Do you believe the 5 above are better than these? Do you have an opinion about them that you could share with us? I’ve worked with Wix and yesterday got an email about Simbla (first time I heard about it). I have selected few of them that are fresh and good to try. Simbla is our next favourite after wix. … And, yes, thank you so very much for your analysis/presentation of the pros and cons of the website builders. Your articles are always great and helpful! Thanks Andrea. I am glad you liked the article.